I've been experiencing severe pain and swelling in both hands for the last four months. These nightly episodes leave me extremely fatigued and irritable. I had a hysterectomy 20 years or so ago. Doctor indicated this past week that it is osteoporosis. I started early menopause 11 years ago at 40 and due to breast cancer risks my doctor refused to start me on hormone replacement therapy. I recently experienced neck/shoulder pain and saw a chiropractor, I was given an x-ray and diagnosed with early osteoporosis in my thoracic vertebrae. I've done a lot of reading regarding treatment and have started taking calcium/vitamin D supplements. I've also invested in a weighted vest to exercise and build osteoblasts. I'm having a DEXA scan and will monitor yearly to see if the vest works. In 2008, I asked my physician for a bone density scan. They said, "No, you have no risk factors." In 2009, I asked my new physician for a bone density scan. Again, they said, "No, you have no risk factors." In 2010, I asked yet another new physician for a bone density scan. They reluctantly agreed. It turned out that I have osteoporosis of the lumbar spine and osteopenia of the left hip and left femoral neck. I wish that I had found out about this in 2008, when I first asked. One need not have any symptoms or risk factors to get osteoporosis. Everyone over 50 should have a DEXA scan. 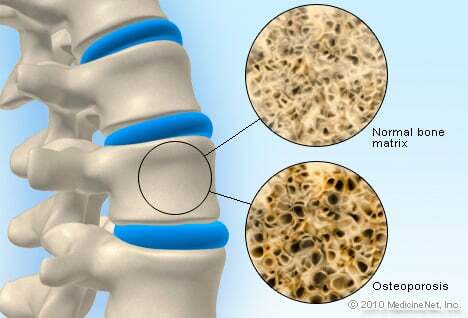 The symptoms of my osteoporosis are loss of height, stooping, low bone density and back pain. My first symptoms started when I was 36: I started having chest pain. X-rays didn't show anything, so I went for four months trying to convince my numerous doctors that it wasn't going away, and that it changed sites. Finally, they sent me to a pain specialist, who looked at my four-month-old x-rays and saw six bilateral rib fractures. The radiologist hadn't caught them when the films were taken because my bones were already too transparent. I ended up having 44 known a traumatic rib fractures (three broke during a lung-capacity test) within eleven months. I've since had a few minor fractures (rib, scapula) but nothing major since I started on Reclast (zoledronic acid). I had a hysterectomy about 7 years ago. I'm 38 and no one told me about osteoporosis. My new doctor sent me to get a bone density test and there it was. I'm so sad. All my joints hurt. If you've had a hysterectomy please talk to your doctor and request a density test. I am a patient of severe Ankylosing Spondylitis. The first symptoms were at the age of 14 (now 61). This was diagnosed at age 24, having started the medication of anti-inflammatories, from the Butazolidin, Voix (just to name a few) and lastly Humira. The effect of the Humira was positive as it alleviated pain and increased flexibility. The side effects directly linked with this treatment were: Dermatitis in various parts of the body. Blisters and subsequent dry skin on the scalp; Dry skin in the ears and behind; rash on the groin and buttocks. Soon (about 2 Months) after commencing the Humira treatment, pain began to be evident on the right leg (Femur), to the extent that strong pain killers were required to alleviate the pain. (This is the same leg that was subjected to a "Hip-Replacement" 4 Years ago). "X" Rays and a CT scan was conducted. The results indicate that there is a "Pinched Nerve" on the lower back, thus causing the pain. It also concluded that there is a severe case of "Osteoporosis.” The multiple exams, X-Rays and tests never indicated the presence of "Osteoporosis.” Today's results indicate severe. I have taken Boniva for about 18 months. The doctor tells me my bone density test is worse. My daughter is a Veterinarian. She suggested a Gluten Free diet. She feels I am not absorbing the Boniva or the daily doses of Calcium with D. I could have Celiac Disease which does not allow absorption of certain medications and foods. I went to my Internist. He did a panel of tests for Celiac. It was negative. My daughter says this is because I was already on a GF diet for 3 weeks. My Internist disagrees. I do not want to take any more medication. Do you have any suggestions? I walk a great deal and run up and down our steps (in house) about 100 times a day. I take no other medication except vitamins etc. I have just been diagnosed with osteo of the spine, which surprised me as I worked alone in my landscaping business for 25 years heavy lifting and long hours didn't bother me. I never was big on milk or calcium tabs as they made me sick, but I love yogurt and cheese. I breast fed my 2 kids til 2 years old. I'm a non-smoker, lite coffee and wine drinker. My mother has rheumatoid and osteo and 1 sister with osteo. I had a hysterectomy (fibroids) and colon cancer (no chemo), both situations caused anemia and both required blood transfusions. I would like to know if anemia played a larger roll in this than genetics. I have pain in my lower back and neck. My teeth are horrible. I used to have pretty teeth now I'm getting them pulled for dentures. I don't know if all this is the cause of osteoporosis, but it is happening to me. I have emphysema and have taken a lot of steroids. I also had a hysterectomy in my 30's. I smoke, which is bad. I'm having a very hard time quitting. I can't afford the new medicines to help me quit. Times are hard. I am so scared of breaking a bone. Two years ago I broke my arm. It took one year in a cast for it to heal. I had no symptoms at all. In fact, at the present time, I have no symptoms. My doctor wanted me to have a bone density test (I am 51), and the results came back as osteoporosis. To date, none of the drugs have worked for me, as I have had severe muscle and bone pains. I am thinking about taking Evista, but that doesn't sound very beneficial to me either. I am 49 years old and was diagnosed with osteoporosis. The results of the scan indicated that I have the bones of a 75 year old. I have been lactose intolerant for the past 25 years, and the lack of calcium has finally paid the price. 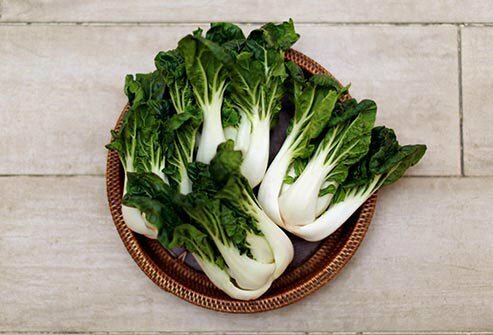 I was on a calcium supplement for several years, but I was also diagnosed with fructose malabsorption several months ago. Because the chewable calcium tablets have fructose in them, I stopped the calcium. Also, because I have many allergies to medications, my doctor has suggested I take the once a year IV treatment for osteoporosis. I have read that you need to be postmenopausal in order to utilize the IV treatment. Since I am perimenopausal, I am confused as to what to do. My daughter and I took a bone density test at the request of our doctor. My daughter is off the charts. She was treated for leukemia as a young girl and took a lot of Prednisone. This was back in the late 60s and 70s. I took it for allergies until I had an unusual side effect. My osteoporosis is mild. But with my daughter's chemotherapy, hers is very bad. We have not started any treatment yet. She has hepatitis C from a blood transfusion, so the doctor and I will decide this week. My suggestion is to take calcium with vitamin D and magnesium when on Prednisone. I have Sjögren's Syndrome; one of the main symptoms is arthritis. My main thing now is a pain in the lateral tibial plateau that was thought to be a stress fracture. Had arthroscopic surgery for torn meniscus 4 months ago, but this pain still exists. Had an X ray and DEXA scan; and was told it was osteoporosis. The first symptom of osteoporosis I encountered was a pain in the upper back whenever I sat reading or typing. I thought it was due to bad posture but it was later found that I had a wedge fracture in the upper part of the spine. I was diagnosed with osteoporosis and given a sample of Boniva to be taken orally once a month. I took the first pill as prescribed 5/21/2011. Twenty-four hours later I experience pain under my right breast to the right of my sternum. It increase in intensity for the next 10 to 12 hours at which time the pain spread to the left side - under my left breast. The pain was sharp, intense and debilitating. After a restless night, I awoke to less pain this morning. As the day progresses, I can sit up, take deep breaths and lift more than ten pounds. I have now researched and found that this has happened to other women. I will never, never take this medicine again and wonder how many others have had this negative experience. I reported it to my doctor who said it was up to me to report it to the FDA. Fine, I have no problem doing this, but wonder how many elderly women who have gone through this are able and willing to report it. I am a small frame petite woman who had surgical menopause in my early 30's with the removal of my uterus and both ovaries. I had lower back pain for years before I noticed a loss of height at the age of 45. A bone density test indicated I had osteoporosis. I was on Fosamax for years, before switching to Boniva since it could be taken once monthly. After a year of taking Boniva, my latest bone density test showed that both my hips had gotten worse, my internist put me on Actonel, saying that Boniva did not help the hips. I am now 58 and have lost almost 3 inches of height so far. I will try Actonel for a year and see how it goes. I personally do not suffer from osteoporosis but I had an aunt who did. I noticed that as her back became more humped, her voice became softer and gradually hoarse. Now I am seeing my mother (my aunt's sister) become more hump backed and occasionally more raspy voiced. I think the curvature of the spine eventually puts pressure on the vocal cords. I wonder if the medical establishment is noticing the commonality of this condition. I didn't know I had osteoporosis until I fell and broke my hip. Since I fell I broke both wrists 2 times and my spine is fractured in 3 places. It can't be fixed. I stay in pain most of the time. I take Actonel and Calcium with Vitamin D.
I am 54 years old. I started having pains in my legs and feet the shoulders and knees years ago. I got treatment and the shoulders became okay, but since that time I have had pains serious ones in my back especially in the spine. I have taken x-rays and found out my bones, knees and spine have worn out. The doctor told me I have osteoporosis. I am a healthy, active 53 year old woman. I went to my doctor because I had persistent back pain. He ordered an x-ray, then a bone scan which revealed osteoporosis at a fairly elevated level. I did ask my gynecologist three years prior to that if she thought I should be checked for osteoporosis because I was Caucasian, menopausal and small framed. She told me that insurance companies do not want to pay for the testing unless it is indicated; which I believe it was. I can't help but feel that if I would have been diagnosed three years earlier, bone loss would have been much less. Insist on proper testing and treatment! I usually have upper back pain. My back and legs hurt a lot when I sit or bend down. I am 45 years old. I still get menstrual periods and my back according to the bone density test is like if I was 75. I just started taking Actonel and I continue taking calcium I try to drink and eat as much dairy as I can without exaggerating either. I was diagnosed with beginnings of coronary disease and have high blood pressure for which I refuse to take medication, but I take natural supplements from Melaleuca. I have thyroid disease that makes me gain weight. I take Synthroid 150 mg. for it. I work in a restaurant, so I am on my feet a lot. Now I have arthritis in the tops of them. When I sit for a while it is hard for me to get up and walk right away. I have to stand for a while and then walk. I have a lot of pain and swelling in my feet and I am wondering what to take. I am 54 and was born with scoliosis. I have been told by my doctor that I have degenerative disc disease and now I am noticing a hump on the right side of my back. I have tried so many different pain killers, but have yet to find something that helps. Also, I was told I have fibromyalgia. I can't tell you when I had a day without pain. I was diagnosed with osteoporosis, 6 years ago and have had no treatment till just now, I used to be so athletic, exercise everyday, now I can't stand, sit or walk for more then 10 minutes at a time. I get sharp pains through my back all time my side, my hips ache continually, my knees give out. One month back I started getting very severe pain on my left knee inside. I have taken X-ray and consulted ortho pedic surgeon. He says it is starting of osteoporosis given me pain killer medicine and a medicine called rejoin. Still I am getting very severe pain once the pain killer medicine effect is wears of and I find very difficult to walk. I appreciate any remedy is there to reduce the pain so that I can walk normally. In my left hand and wrist there has been swelling and stiffness of my fingers and lots of pain. I carried my hand in my right hand like a baby till I went to a doctor and with medication it got better, but some of my fingers are still stiff and I cannot grasp a pot handle. There is always puffiness in the palm of my hand and the skin feels strange. I was waking up in the middle of the night with leg pains. More leg pain in the day time, but not as noticeable because I was focused on work that needed to be done. The pain would seem to be in the bone on the front below the knee and often my feet would hurt too. The pain was a dull ache like a toothache but with increasing intensity after standing or walking for any length of time. With my osteoporosis, I had back pain for months and also hip pain. I had to wear heating patches and a back brace at work.